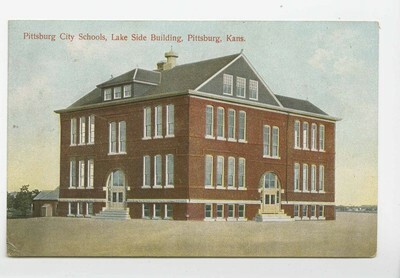 "Pittsburg City Schools, Lake Side Building - Front" by International Post Card Co.
International Post Card Co., ca. 1907. Printed in Germany.